When Kakashi falls against Pain, the situation only grows worse for Konoha. Shizune and Inoichi are close to unraveling the mystery of Pain, but when the Animal and Human paths of Pain appear before them, can they escape with the truth about Pain? Naruto Shippūden Season 8 Episode 157 : Assault on the Leaf Village! Naruto Shippūden Season 8 Episode 161 : Surname Is Sarutobi. Given Name, Konohamaru! 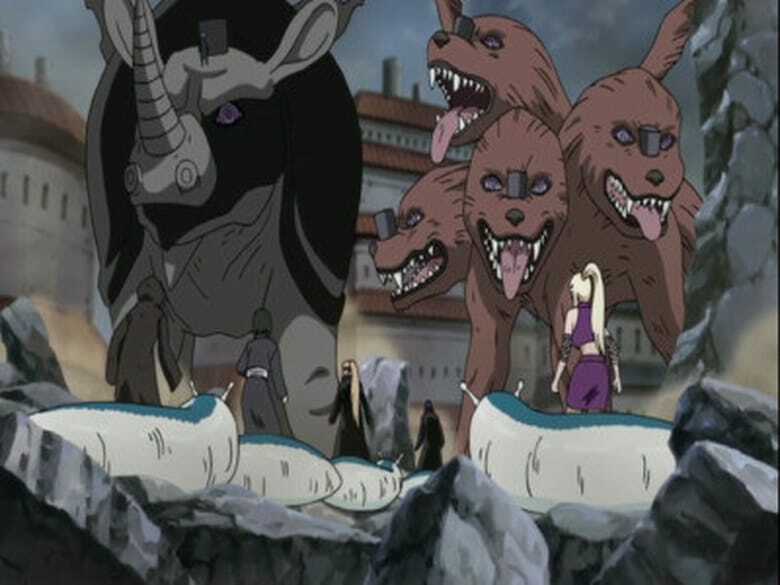 Naruto Shippūden Season 8 Episode 165 : Nine-Tails, Captured!